This time of year, glitter is everywhere. It is the unwearable lipstick/eyeshadow of choice for most editorial "holiday looks". But it is beautiful. 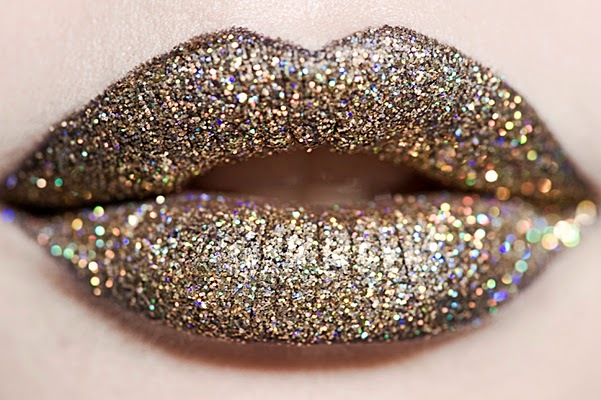 The idea of glittered lips does not appeal to me in the least bit...so much grit! I'd sooner use grout to paint my lips...but this is a look that will pretty easily translate to the nails. 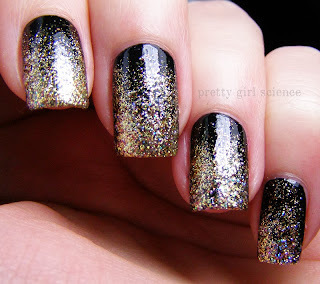 This is my first time trying a "glitter gradient"...and I must admit, I kinda like it. The Color Club glitters are so amazingly dense that a good fade was a bit challenging...but worth the effort. 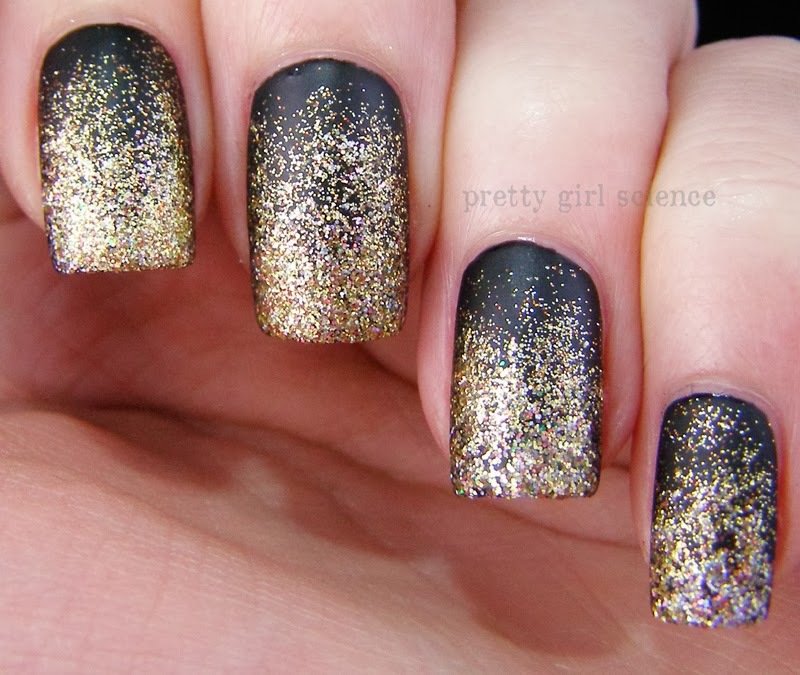 This would be a fabulous NYE manicure. Even in dim light, the gold glows on my nails. The addition of the matte coat just elevated the whole look. Classy and loud? I'm happy.